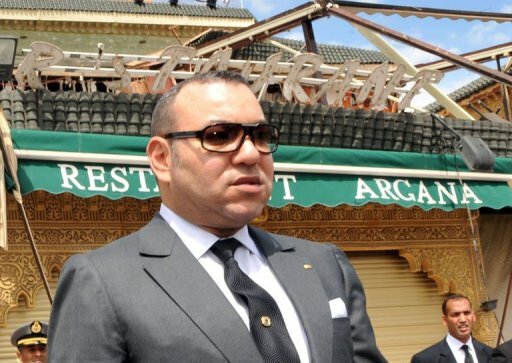 Three suspects have been apprehended with alleged ties to the bombing in Argana cafe in Marrakech. Two are from the coastal town of Safi (220 miles south of Casablanca), while the third is a local Marrakechi (see Moroccan TV news cast here). Several questions have been raised about the absolute silence of the Moroccan authorities during the investigation. However, yesterday the Minister of the Interior Taieb CherKaoui held a press conference, in which he announced the capture of the three suspects. According to Moroccan authorities, the alleged conspirators are inspired by al-Qaeda an militant Jihadi ideology, but not operationally part of the terrorist network. Two of the suspects tried several times to join Iraq to partake in militant Jihad, but each time were expelled from Libya in 2008, Syria in 2007 and Portugal in 2004. This raises serious questions about Moroccan authorities' competence as they seem to have lost track of a committed militant Jihadi, and hence failing to anticipate the terrorist acts. These developments were only eclipsed by the sensational news of the death of master terrorist Osama Bin Laden in Pakistan. Bin Laden's death deals a significant blow to al-Qaeda, but it is does not put an end to the militant ideology that has spelled disaster for the Islam and the world. Al-Qaeda may be losing ground, but al-Qaedism is still present amongst us, notably through its different subsidiaries in different parts of the world. In the Maghreb, the scepter of al-Qaeda is ever palpable with the al-Qaeda in the Islamic Maghreb (AQIM). AQIM remains marginally active in the northern Sahara region of Sahel, and responsible for kidnapping and killing scores of foreign aid workers and tourists. AQIM maintains Jihadist aspirations to carry attacks in north African countries. But they've denied any involvement in the argana cafe bombing. In the midst of the Arab uprising, states might lose sight of the ever present threat of militant Islamism. There is a need for an effective counter terrorism strategy, which will not be successful without the joint cooperation between Maghreb and Sahel states. Perhaps the current Algerian-Moroccan rapprochement leading to an eventual re-opening of the borders is a positive step that could potentially aid in combatting AQIM. Such optimism is only tempered by the on-going conflict over the Western Sahara, which Algeria is significantly involved in on the side of POLISARIO. UPDATE: Moroccan authorities arrested three more suspects in the argana bombing. All from Safi and allegedly had knowledge of the plot to bomb the cafe on April 28th. Hi! This is an invitation from the Berkman Center for Internet & Society at Harvard University and Global Voices Online to participate in a survey we're carrying out jointly. We're asking questions about online safety for bloggers in the Middle East and North Africa, and we need your help! We are particularly interested in learning about your experiences with social media, the steps you take to protect your privacy online, and your perceptions of online threats. We are sending surveys to approximately 600 influential bloggers throughout the region in the hopes of learning more about how bloggers view and approach the issue of online safety. The survey will take approximately 25 minutes to complete. We will not share personal information — or the fact that you've participated in this survey — with anyone else, and you’ll be the first to know when we release the results of the survey. Will you help us? Thank you. I will try to complete the survey soon. Thanks. I will try to complete the survey soon.